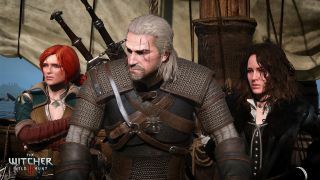 The Witcher 3: Wild Hunt is all about the White Wolf, Geralt of Rivia. But what if you want to undertake his down-and-dirty adventures as someone else—specifically, as a woman? Now you can, to an extent, thanks to a mod that lets you replace the G-Man with Triss, Yennifer, Ciri, or Shani. It's not a perfect transition, or even complete: The mod doesn't work with the Nilfgaardian, Temerian, or Skelligian DLC armor sets, and it uses Geralt's animations in combat. More distractingly, your character will also continue to speak in Geralt's voice despite the change in appearance, which might pull you out of the moment a bit. Even so, it's an impressive bit of work, as is the “Spawn Companion” mod, which enables you to bring Lambert, Eskel, Ves, Cirilla, or Kiyan along with you on your journeys. The latest changelog notes that its compatibility with other mods has been improved but is still not guaranteed, although as you can see in the video above, courtesy of Br34k, it works quite nicely with the “Playable Triss” mod. I haven't tried it myself, but Reddit says the companions can be “helpful” in combat. And hey, at least you'll have someone to talk to besides Roach, right? A few other cool mods to lay your eyes on, in case you missed them: Better textures, Gwent fights, and the Infected Mode, which you should probably handle with extreme caution.